Commenting, Facebook liking, and voting (closing arguments) closes tomorrow, Sunday (August 11) at noon. What’s that for? I have a creative nonfiction or memoir story up at Midlife Collage this week as I explained in my blog posts Monday and Tuesday. If you have time, please go to the Midlife Collage contest and look for my story “Still Photo” by Luanne Castle. It competes with four other very short stories. Even if I don’t win, the comments are rewarding to read because it’s wonderful to see if I have reached my readers. And if I win, I will set up a contest on this blog for blog readers :). And whatever participation you can manage, I thank you from the ends of my toes and tips of my fingers. Thank you!!! Midlife Collage OR Facebook page. Remember: it’s “Still Photo” by Luanne Castle. 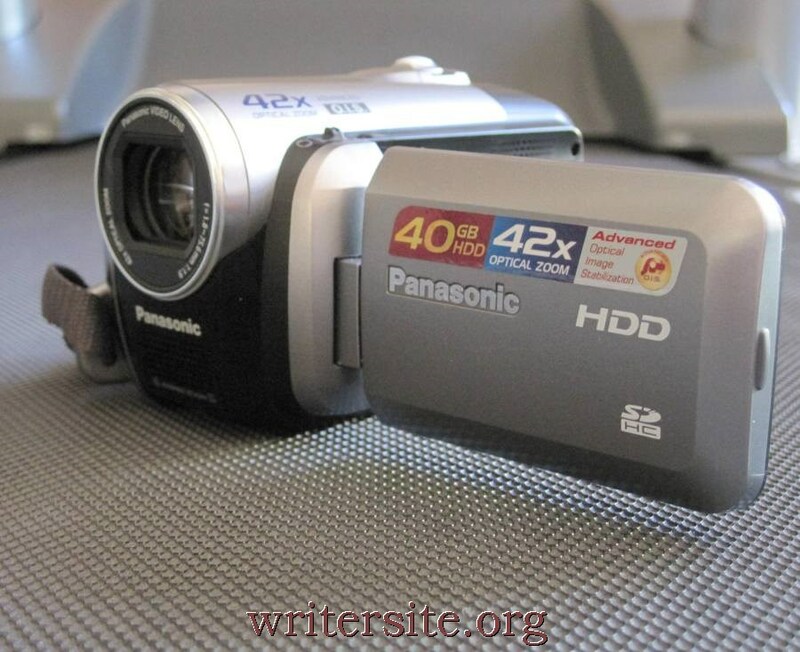 Why is the story called “Still Photo” if the photo is of a camcorder? Read my story and find out! Best of luck!! I hope you win!! Thank you! I know i should say “may the best story win,” but I feel like a phony. I would love for mine to win ;). I’ll head on over, Luanne. Best of luck to you!